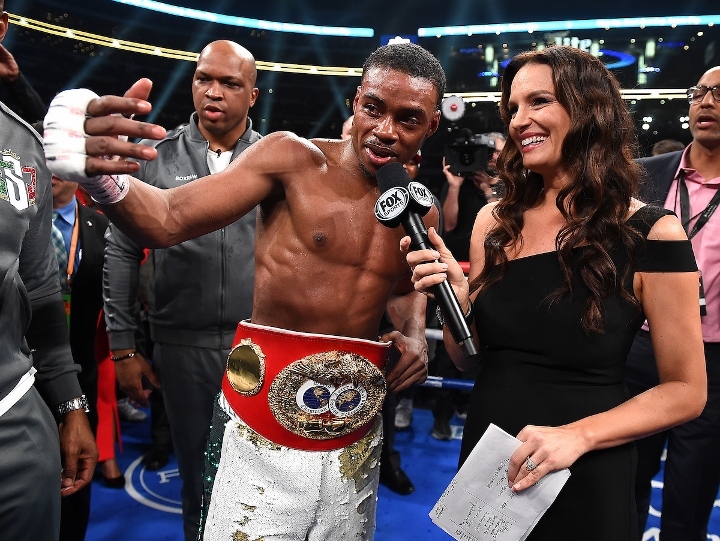 AT&T Stadium, Arlington, Texas - In a highly anticipated showdown for the IBF welterweight title, Errol Spence (25-0, 22 KOs) dominated and beat down Mikey Garcia (39-1, 30 KOs) over twelve rounds to win a lopsided unanimous decision to retain the title. The scores were 120-107, 120-108, 120-108. (photos by Ryan Hafey, Fox Sports). 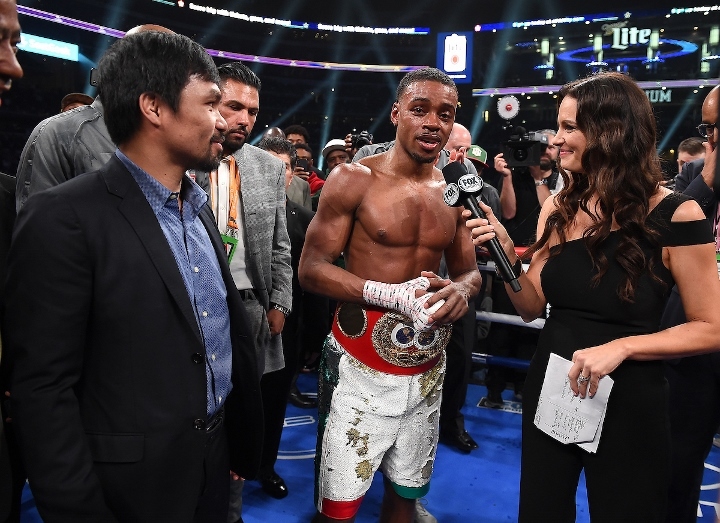 After the fight, Spence called for a clash with WBA "regular" welterweight champion Manny Pacquiao, who was sitting at ringside. 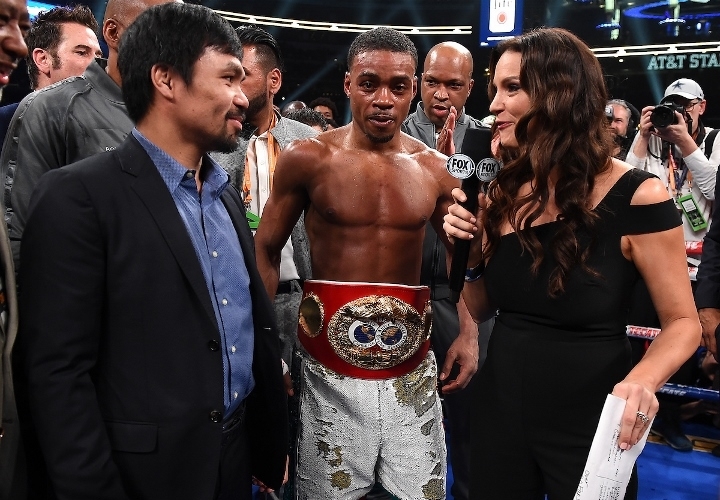 Pacquiao came inside the ring and said he was more than willing to face Spence in a high stakes encounter. Both fighters are under the Premier Boxing Champions banner. 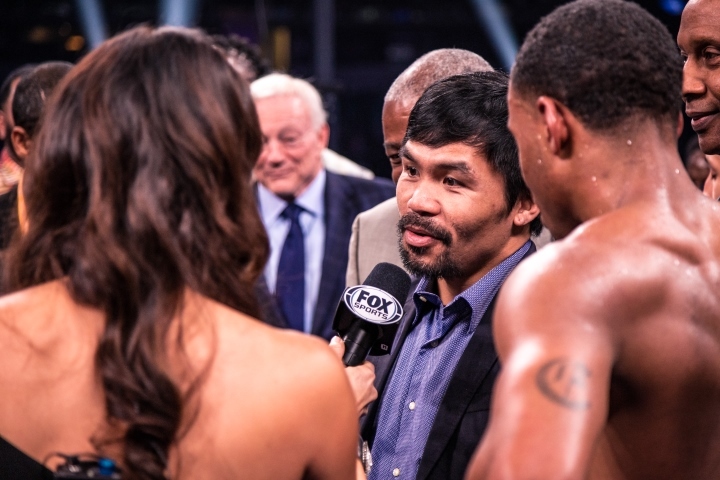 [QUOTE=remi;19592359]On air, Pacman said he was looking to fight the winner between Spence and Garcia. In the ring, lol, his body language said something entirely different. 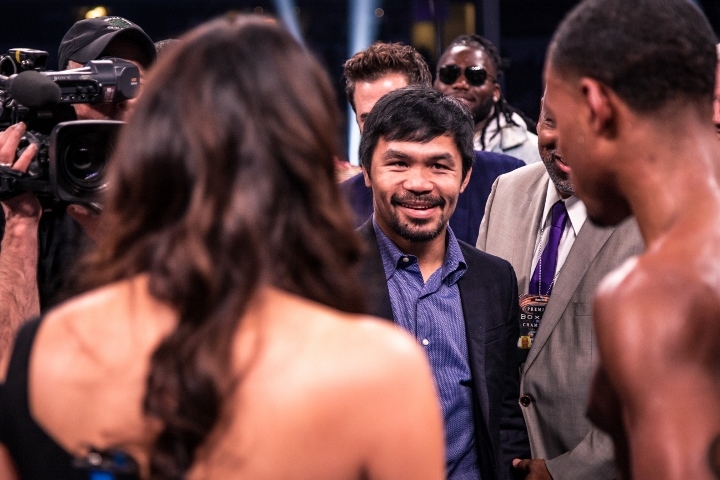 [/QUOTE] This your first time seeing Pacquiao, newb? 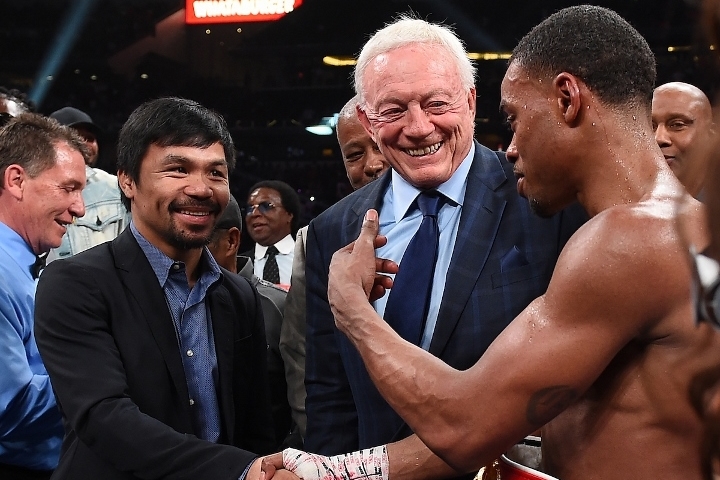 Come on Manny sign it . One legend and potentially a future legend.